Home › Baryons › Two new Baryons at LHC. Two new Baryons at LHC. Two new Baryons at LHCb. 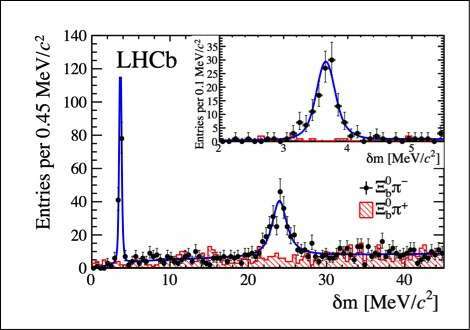 LHCb, the famed experiment at CERN, Switzerland found a year ago two new Baryons. These are important steps in testing the validity of our state of the art understanding of current model of the Physical Universe, mostly in considering the “particle constituents” of the matter around us, and known by the name Standard Model — of Particle Physics. 1. First off it does so by colliding protons with protons at gigantic speeds, at the speed of light. So these protons are 1000 times more energetic than their own mass. If you are 60 kg, your energy is 600 Joule, if you move freely a distance of 1 meter, consider yourself to be thrown so fast that you have 1000 times that energy. Both examples are approximately true. 2. Protons are called Baryons. Anything with 3 quarks in them, as we know them today are called as Baryon. The 3 quarks will never separate into single relationship status. Its a triangular love, in which each partner has their share of love meted out. Sorry particles are decidedly promiscuous. ;) And never break their relations as long as they are bonded this way. Atoms with nuclei and electrons. 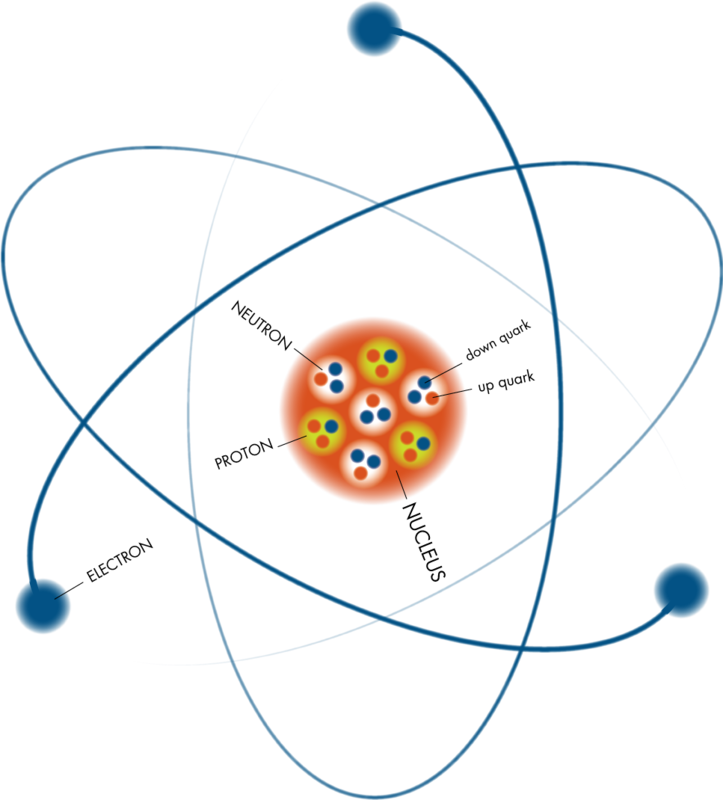 Nucleus has nucleons in it which are two types, protons and neutrons. 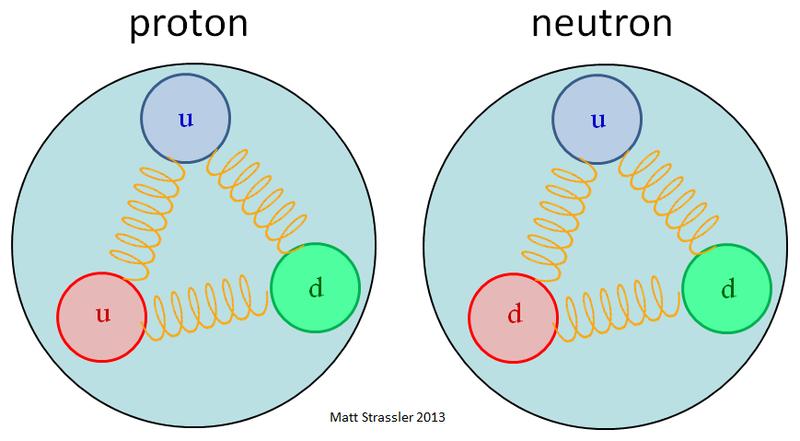 The protons and neutrons are Baryons with each having two different combination of 3 quarks — uud and udd. 3. These new baryons — 3 quarks in eternal bonding, are about 6 times heavier than proton. Since protons were bombarded onto each other madly, with energies that are 1000 times bigger than their own mass, the possibility of heavier particles such as these new baryons materialized. So the protons did not break in a way quarks will cry out “I am single again” but rather go into relationships with other quarks and form heavier relationships. Protons and Neutrons as Baryons, that is an eternal bond of 3 quarks — uud and udd. Note that the spring is, the gluon. Much like a spring transmits a mechanical force, these gluons have an assigned duty; to transfer the strong nuclear forces from one participant to the other. 4. Two of such new relations were spotted for the first time. As you see image below, they are a narrow tall peak and a short and wide peak to the right of the tall peak. That means these two Baryons despite of being almost same — they are made from same quark ‘singles’, have a bit difference in their mass. Thats because inside of them the quarks are revolving in some sense in different directions. The heavier one is one where the two quarks are running together. The lighter, the quarks running opposite. 5. The lighter peak appears to left most, the curtain of the drama would have missed it if it were slightly more lighter. Its a coincidence that its mass just fit in to appear on the window of observation. As they are named; Xi_b’ and Xi_b*. Call them twins. One slightly fatso. One slightly slim. ‹ Time travel explanation, the amateur way.